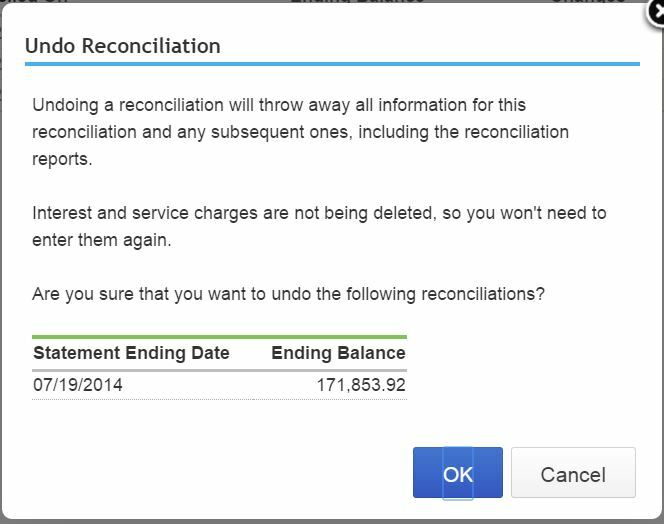 Posted byadmin	 January 9, 2015 September 25, 2017 4 Comments on How to undo bank reconciliation in QuickBooks Online Accountant (QBOA) version? 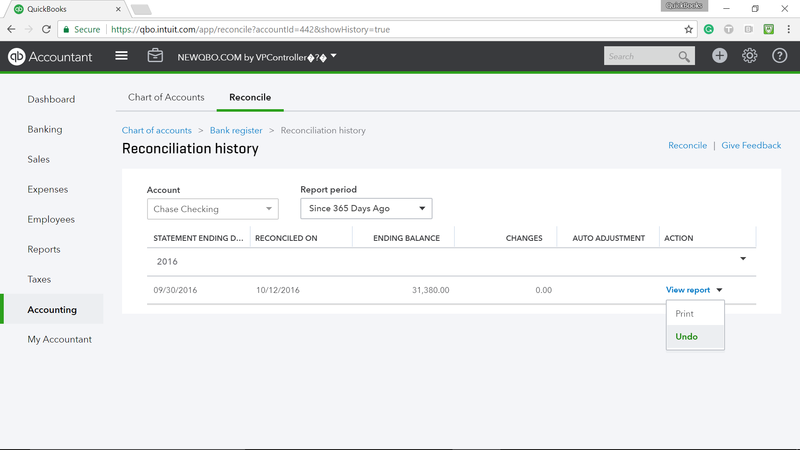 Undo bank reconciliation feature is not available in any plans at this time. It is available in Accountant version only. It will longer be on the Reconciliation History & Reports list. See QBOA signup screen below for reference. A customer should be able to undo a reconciliation without having to go through and Accountant account. Yes, the accountant can sign up for free but the amount is billed to the client. I agree. 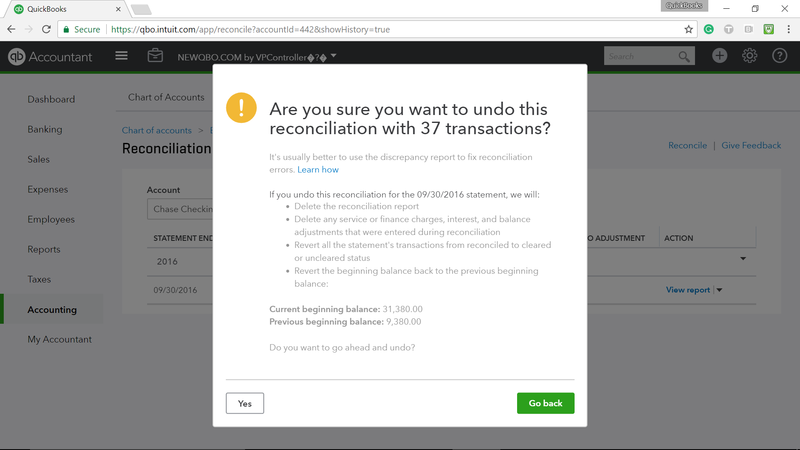 Eventually, Intuit will need to add UNDO bank rec feature in regular QBO. Hopefully sooner with new Bank Rec Update but in the meantime, anyone (not limited to just Accountants) can subscribe to Accountant version for FREE. Yes, it’s free. Just use a different email address to sign in and use Manger User feature to invite yourself as an Accountant. This will get the job done without paying extra charges through Accountant. 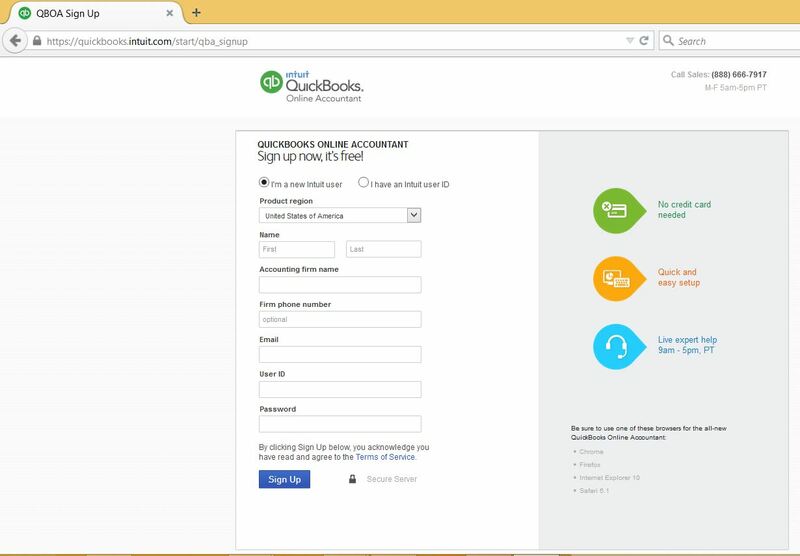 From Sign in at the upper right corner, choose QuickBooks Online Account. 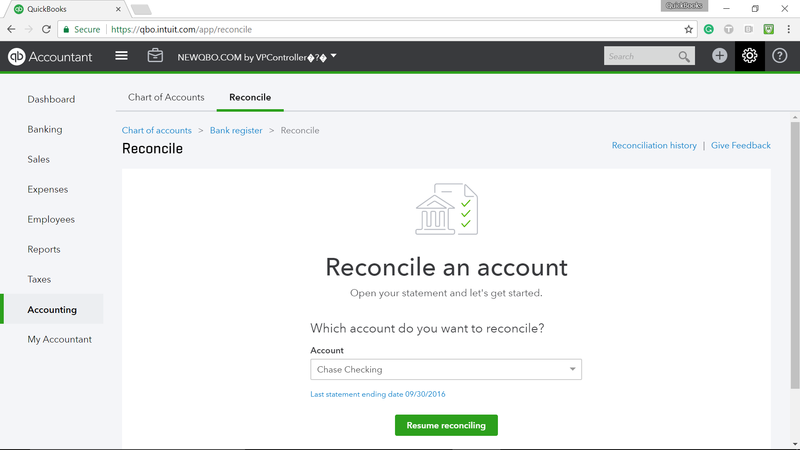 They have not taken away UNDO but with new bank reconciliation interface, they just moved it. From the homepage dashboard > Company Gear at the right corner > Select ‘Reconcile’ under Tools > Choose ‘Reconciliation History’ link at the far right (see images below) > Choose Bank Account in question to UNDO > Go to Action column > Pull-down arrow and select UNDO. Hope UNDO feature is available on all regular plans soon!